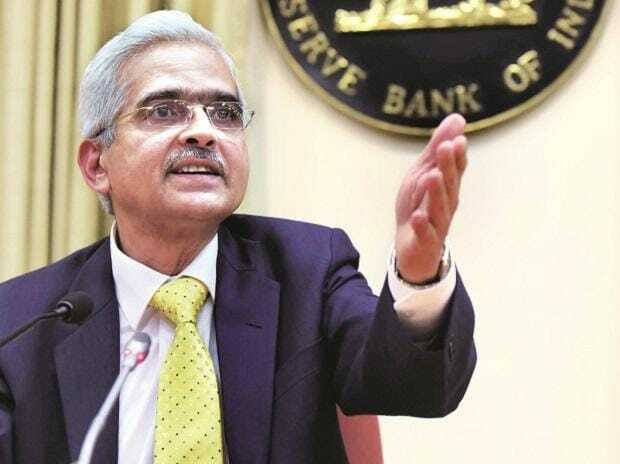 In his maiden speech as the Reserve Bank of India (RBI) Governor Shaktikanta Das indicated on Friday that the central bank under him would be flexible enough to assume multiple responsibilities, instead of the one-point agenda of remaining fixated on inflation. The RBI always had multiple objectives, such as maintaining price stability, taking care of growth, as well as being the regulator of the banking system, and ensuring financial system stability. However, Raghuram Rajan and Urjit Patel favoured the central bank to focus almost exclusively on price stability. The RBI Act was amended in November 2016 to make the goal as “maintaining price stability keeping in mind the objective of growth.” Before that, growth was a clear objective of the central bank. The RBI was given the responsibility of maintaining inflation between 2 and 6 per cent, with the central point focused on 4 per cent. “At the RBI, we are committed to playing our role as the monetary authority for maintaining mandated price stability objective while keeping in mind the objective of growth; and as the regulator and supervisor of the banking sector and payment systems. We will take necessary steps to maintain financial stability, and to facilitate enabling conditions for sustainable and robust growth,” Das said at the Vibrant Gujarat Global Summit on Friday. “As governor of the RBI, it would be my endeavour to act according to these principles,” Das said in his speech. Das had indeed made it clear on his first day as governor, on December 12, that he would balance inflation with growth. "Inflation targeting is an important function, which the RBI Act has mandated…. Maintenance of growth trajectory of Indian economy is also important," he had said on his first day in the office. Industry representatives, who met Das recently, suggested the RBI would cut rates by at least 50 basis points to spur growth. Most economists expect the central bank to cut the policy rate in the February 7 policy meet, Das' first as the governor. Das’ stance is a little different than his predecessors’. While Rajan passionately used to argue how a sustained low inflation takes care of the growth on a durable basis, Patel on several occasions said price stability was his sole objective. As a result, Patel did not cut rates even when inflation dipped well below 3 per cent, fearing prices to flare up in the near future. Understandably, industry lobbies were not happy, and blamed the central bank for not aiding in growth recovery. In his speech, Das said the banking system was gradually becoming resilient as the banks had improved their profitability ratios and capital positions. “Going forward, the foremost priority is to preserve domestic macroeconomic and financial stability, especially in a global environment that is clouded by high uncertainty,” Das said. “Not only downward risks to global growth, trade and investment have risen, the spill-over effects on emerging markets due to increase in global interest rates could also be profound,” the RBI governor said. “We, therefore, need to brace ourselves for any sudden bout of global financial market turbulence that domestic economy and financial markets may face in the period ahead. In such a milieu, domestic macroeconomic policy framework needs to be supported by sound financial supervision and regulation,” he said. However, the RBI must continue with its vigil on asset quality of banks, as well as resolution of stressed assets, with a focus on implementation of the new resolution framework. Further slippages should be contained, he said. The central bank would also require to take policy actions to improve corporate governance in banks “with a focus on transparency and accountability”.